Does your dining room need an upgrade? Here are six of the best dining room decor ideas to help give your space the comfort and style it deserves. The dining room is the space in your home where you’ll spend many hours gathering with family and entertaining guests. 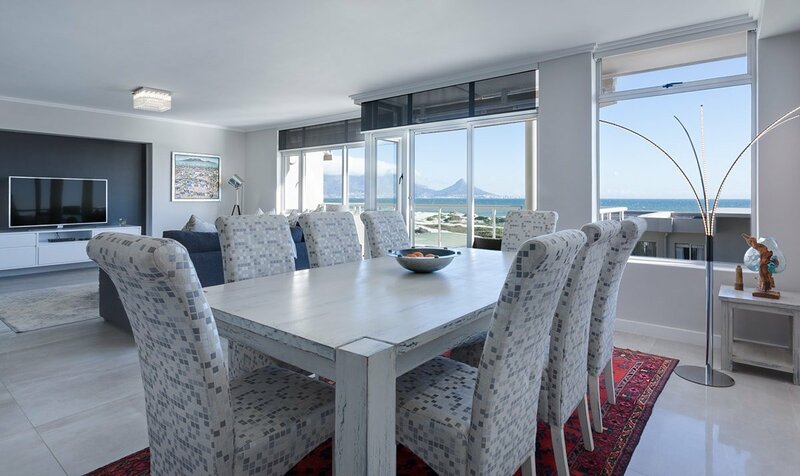 It’s the ideal room for everything from hosting holiday get-togethers to enjoying family board games to elegant dinner parties. The way you decorate your dining room should mirror your lifestyle, preferential tastes and the activities you’ll do in your dining room. While dining decor tastes may vary for everyone, they contain elements that can be personalized for the homeowner (or renter). Are you looking for some fresh, new ideas in dining decor that inspires? Read on for a deep dive on how to create the perfect dining room that radiates in style but the way you like it. Here’s what you need to know about size and space. When choosing the furniture for your dining room, select a dining table that is proportionate to your dining room. 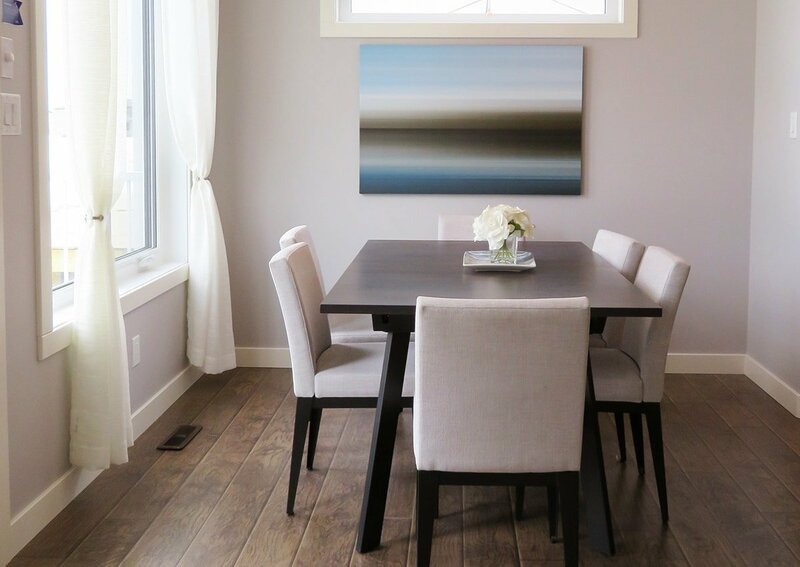 Make sure your dining room suits your space but is also functional. A table that’s too large for a room is not functional. Make sure there’s plenty of room to walk around when serving food or when you have to move chairs around the room. Are you limited on space? Then choose a round dining table. It will enable you to seat more people in a smaller space than a square table would. For a larger dining room, choose a long rectangular table that comes with leaves for your dining room that you can extend for large gatherings. 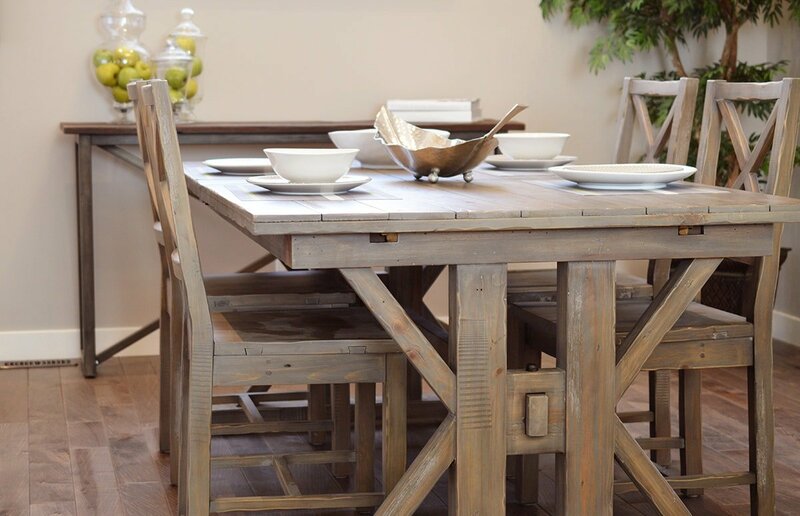 The amount of size will determine what furniture and accents you want in your dining room. Place a credenza or a china cabinet if your room is large enough with plates and keepsakes from places you’ve traveled. When choosing light fixtures, consider the size and shape of your space and its function to create the most inviting space. You don’t want a large round chandelier in a small square room or a low fixture where you can hit your head in a room with a lower ceiling or where it will obstruct the space away around the table. You get the picture. Lighting is a key factor in any room. Your lighting fixtures should reflect the activities you conduct in your dining room while also cater to your moods. A vibrant light is ideal for studying and doing homework, but not so great for a romantic dinner. That’s why it’s important to use a mixture of lighting. An overhead light on a dimmer provides an array of lighting options. 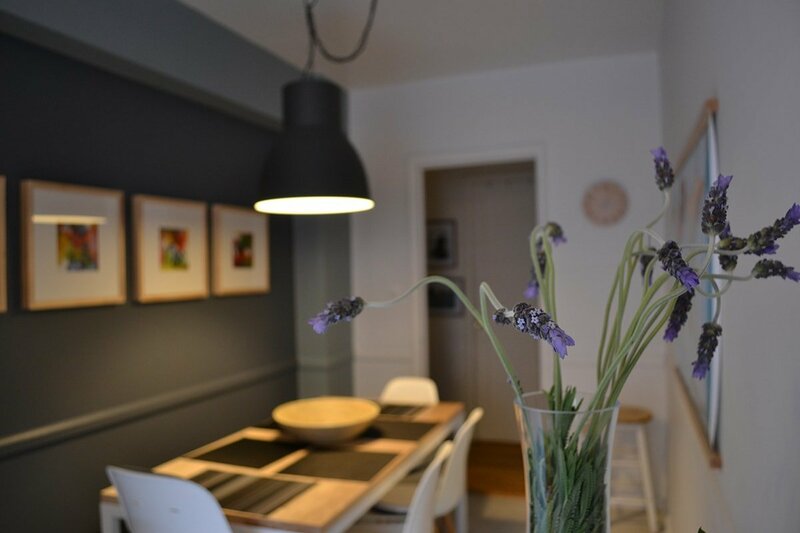 Make sure your lighting complements your dining table. A round lamp above a roundtable is the bomb! Have a small space? Try suspending smaller hanging pendants to give the illusion of more space. For a rectangular table, a linear fixture looks fabulous. To offer flexibility in your dining room, mix and match your table linens. Choose linen sets with similar styles so the table runner, cloth napkins and tablecloth coordinate with each other without matching exactly. Just toss your linens in the laundry without worrying that one linen may be more faded than another. Deciding on a color scheme for your dining room can be fun and sets the tone for your dining decor. A neutral dining room in beiges, browns, ivory and white tones can be relaxing and offers a traditional vibe. 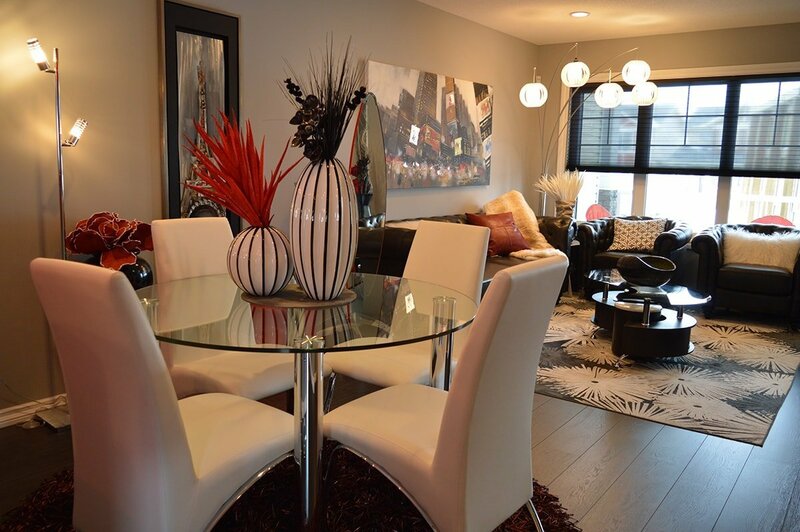 Add a non-neutral accent piece in your dining room to give your dining decor a little pizazz and make it pop. Want to bring nature indoors? Decorate your dining room in a green motif. Want to play a little bolder? Combine bold colors with a variety of textures. This creates contrast by pairing unpredictable hues and fabrics together. Pair intense rich velvet and earth tone linens together for a unique contrast. Blend the colors through the dining room by tying in a fun colorful area rug or modern tablecloth. Decorating your walls with personal items are a great way to customize your dining decor. Hang up framed photographs or your family and pets for a conversation starter. Your children will be able to see them when they grow older. Family photographs are a great way to freeze family memories or remember relatives that are no longer living. They can last as long as your home stands through the generations. Other dining room wall design to display is original artwork. Did you purchase a painting or print at a museum when you last visited New York or some other place? Putting up paintings and drawings of your favorite artists make your walls about you. Perhaps your or someone in your family is an artist. Put up the artwork you or your family created. Your artwork makes a great statement piece and a topic of conversation when you show friends and family new items in your home. If you haven’t created your own artwork, choose wall art or a mirror that speaks to your style preferences to make it your own. Mirrors also a great way to bring light into a room and they can give the illusion of a larger space in smaller rooms. 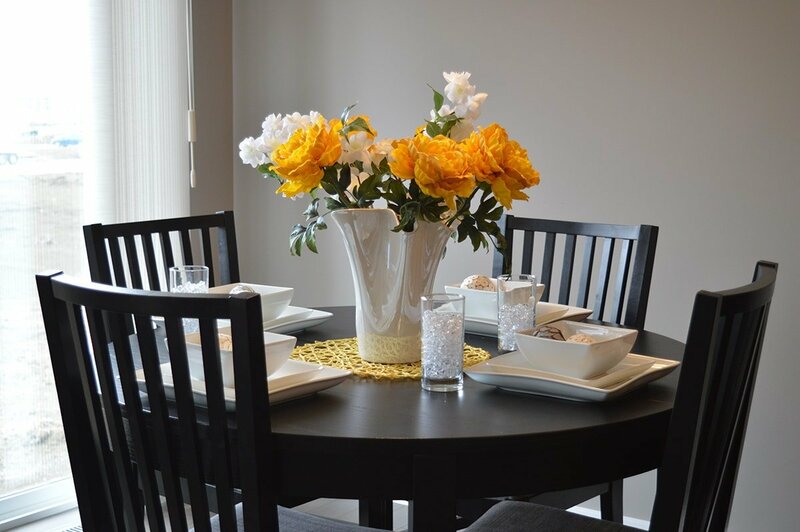 Choosing accessories such as figurines, vases, and a table centerpiece also helps you personalize your space. Pick an accessory from your cultural background to add a personal touch. Is your family heritage from Italy? Display an Italian statue on a nearby table or in a glass cabinet for all to admire. You can also use accessories in your dining room decor that tell stories about your travel experiences. Your dining room decor reflects your personal tastes, life experiences and family memories. Now you have six stylish ideas to beautify your dining room to make it a unique space of inspiration for your family, friends and holiday gatherings. Looking for more decorating tips to make your home beautiful? Check out our blog for interior design inspiration for your entire home.